Attention EasyPass Riders at the Peralta Colleges! When you board the bus, tag your card to the card reader as usual. 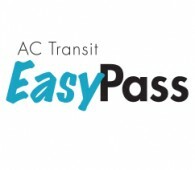 You may also go to the AC Transit Ticket Office to manually activate the your pass immediately by inserting it into one of the AVM machines at the far end of the office. Clipper Cards should be reactivated in 3-4 days, From January 31st.